So what is a Doctor Yellow? It’s not a Time Lord, nor a soft drink, or a new character in Cluedo. 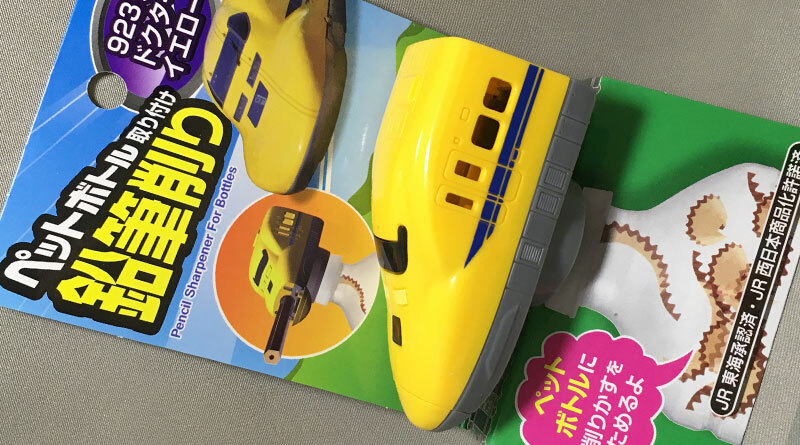 It’s the nickname for the high-speed inspection train used on the Shinkansen ‘bullet’ train routes to monitor the condition of tracks and overhead wires. 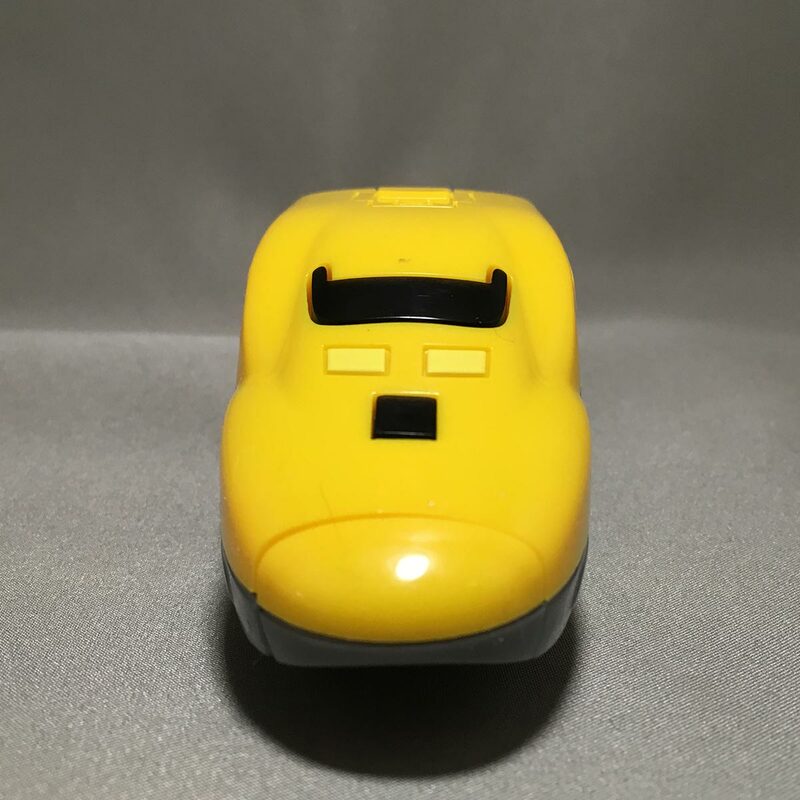 And if being shaped into Doctor Yellow wasn’t cool enough for this sharpener, it also screws onto plastic (PET) bottles, collecting the shavings in the bottle so you don’t make a mess. How clever is that! 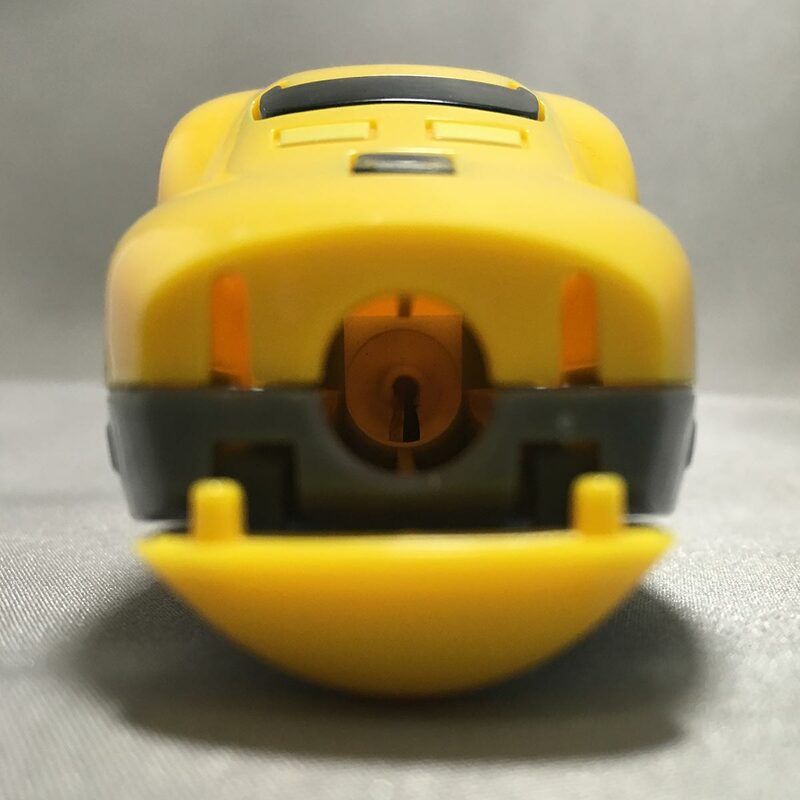 The nose of the Doctor Yellow flips open to reveal the opening of the sharpener. 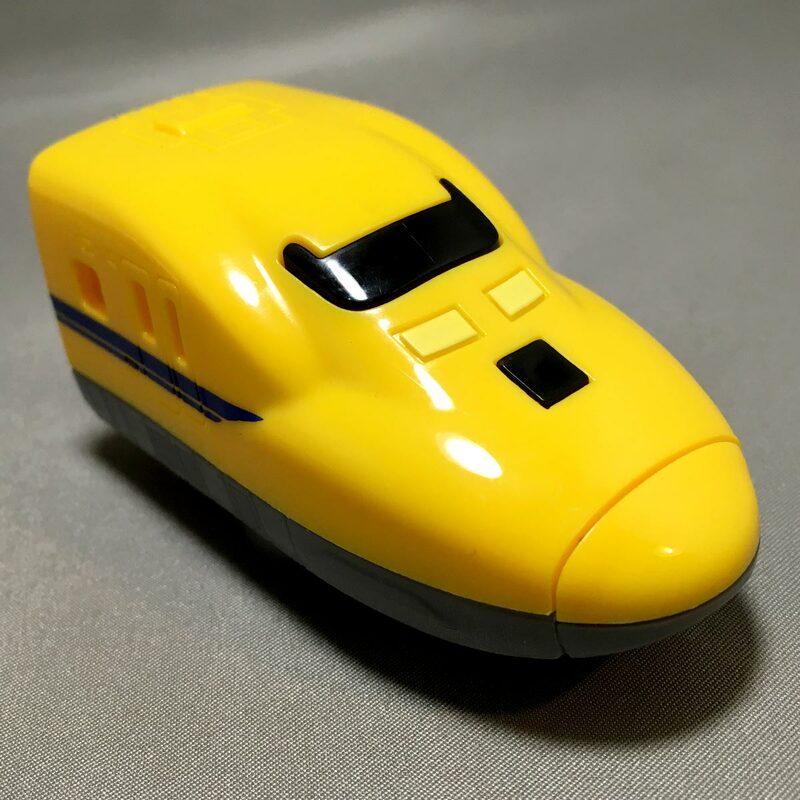 The product has been approved by Central Japan Railway Company and manufactured under license from West Japan Railway Company. 1. 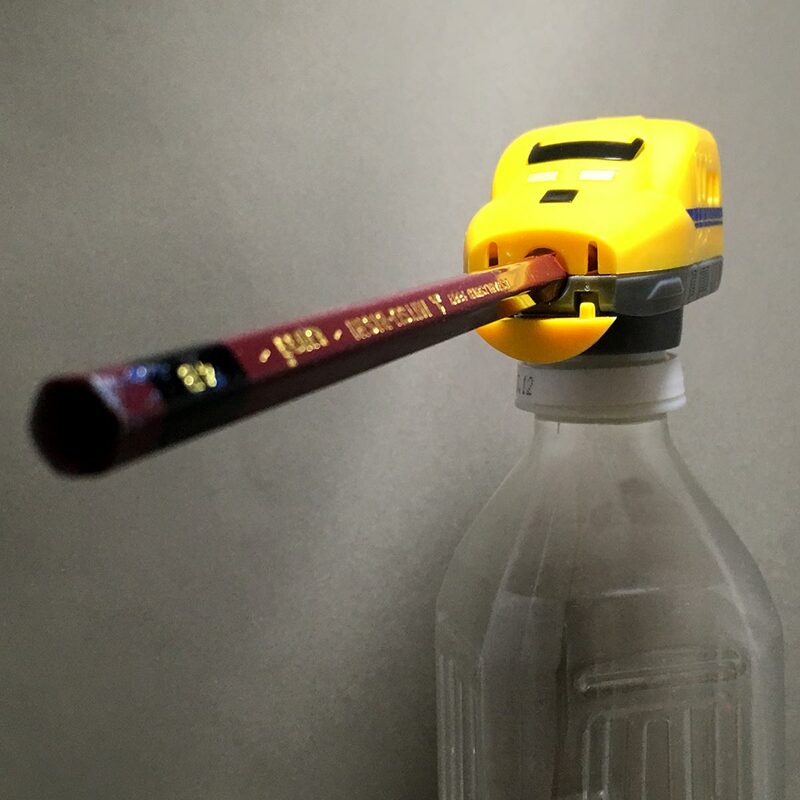 Screw the Pencil Sharpener onto the plastic (PET) bottle. 2. Flip down the nose and insert pencil. 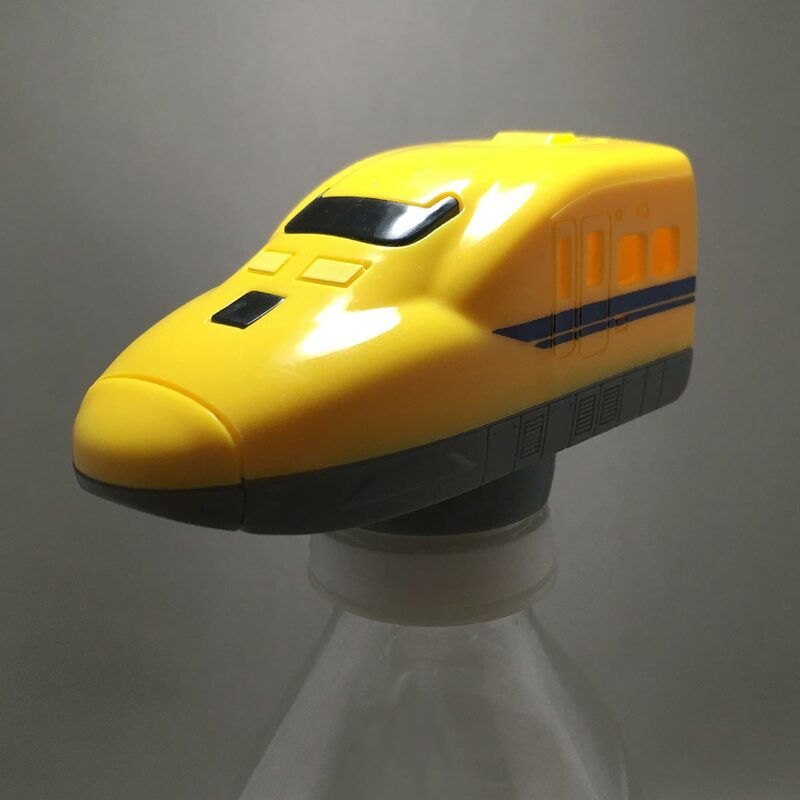 The pencil shavings will collect in the plastic bottle. – Suitable for standard sized (8mm diameter) pencils and color pencils. Do not use with thick pencils. – May not be suitable for thin pencils. 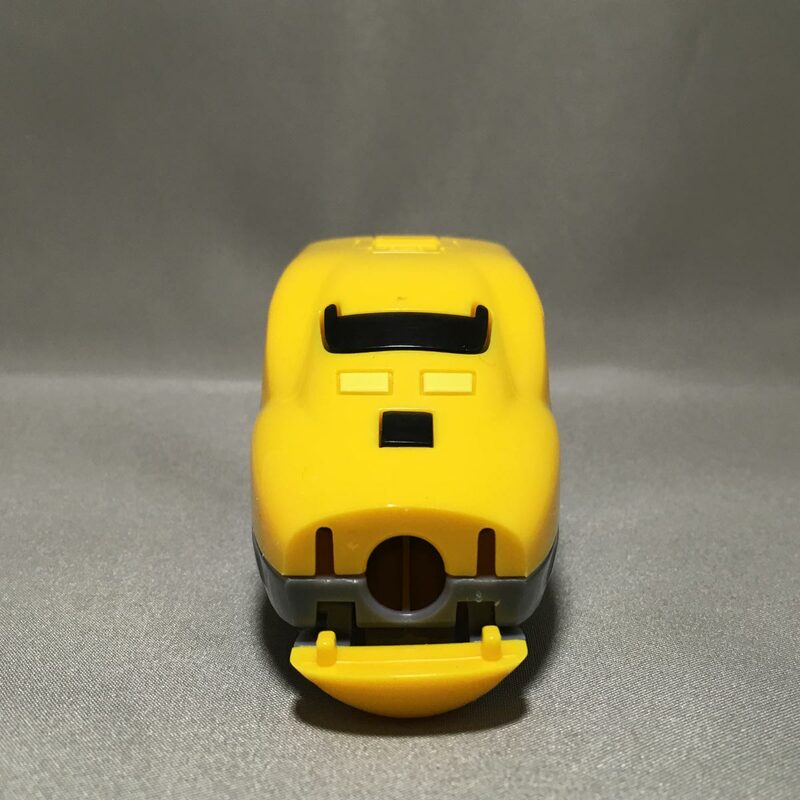 – Pencil sharpener may not fit all plastic (PET) bottles. – Follow local disposal guidelines for disposal of pencil shavings. 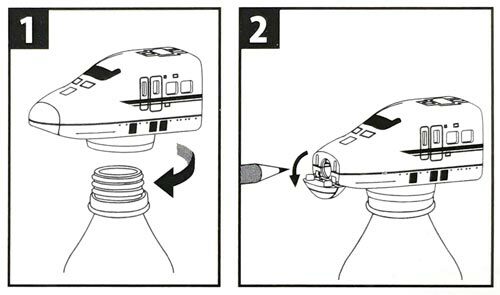 – Do not insert fingers into the pencil sharpener opening. – Keep out of reach of children. – Keep away from fires, heat sources or areas with high temperatures. 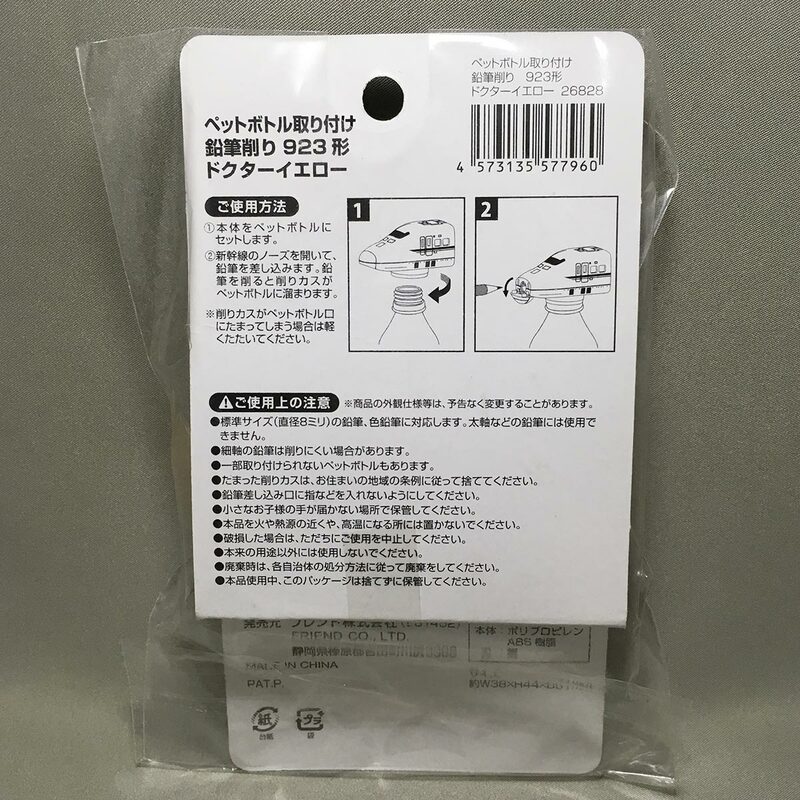 – Do not use if pencil sharpener is damaged. Sales agency: FRIEND CO., LTD. 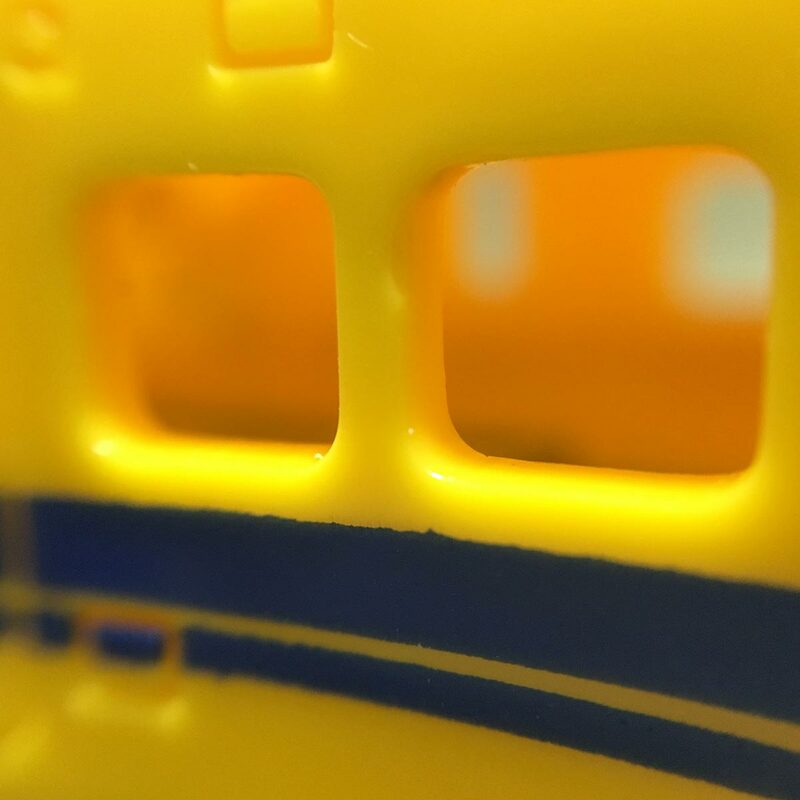 There are actually tours that can be booked to ride and look inside the Doctor Yellow. However, they are very very popular, and are usually fully booked very quickly. 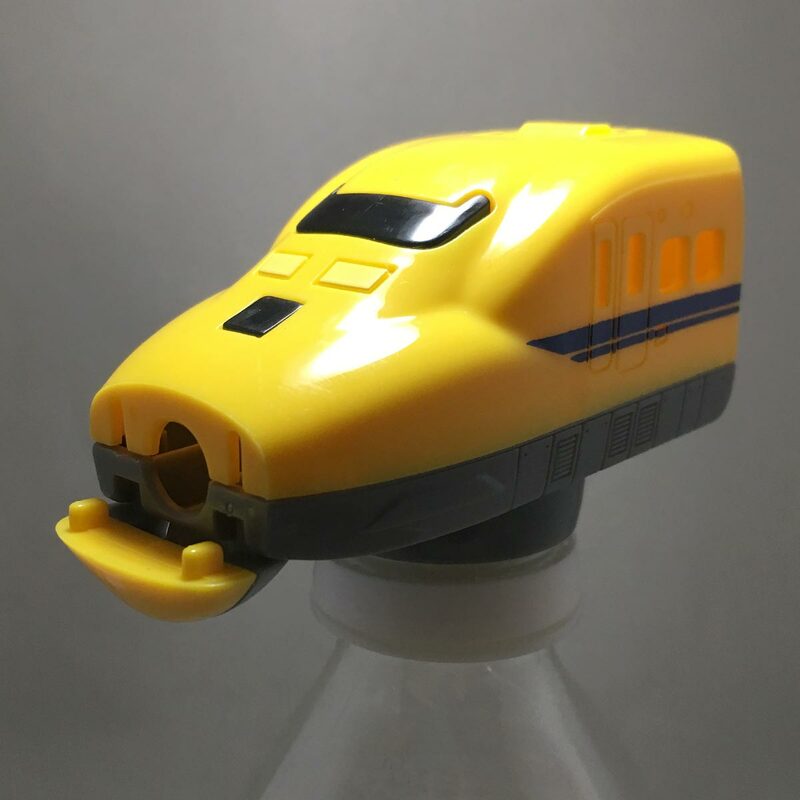 This Class 923 Doctor Yellow Pencil Sharpener for plastic bottles from Daiso would be a nice collector item for train fans. 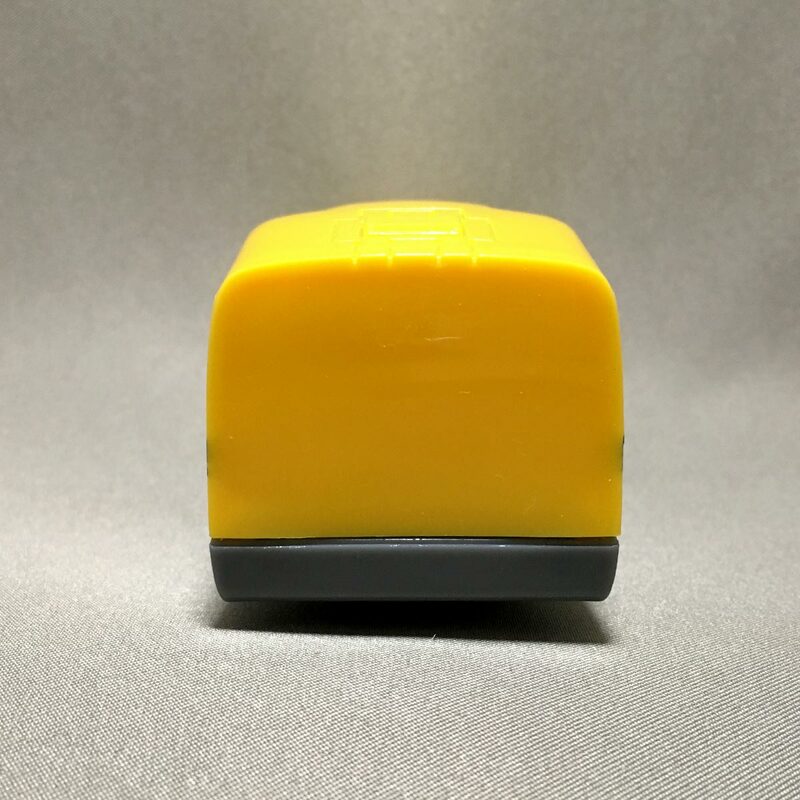 The sharpener body feels more like a toy, very light and simple. 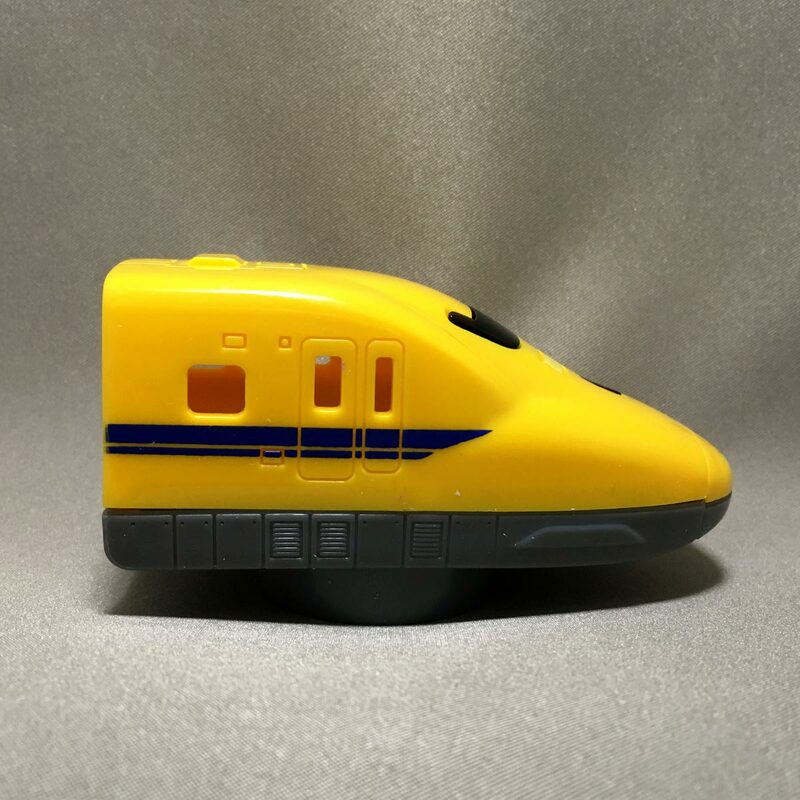 I found that I could easily remove the top yellow half of the train from the grey base, even the flip cover can be split into 2 parts. 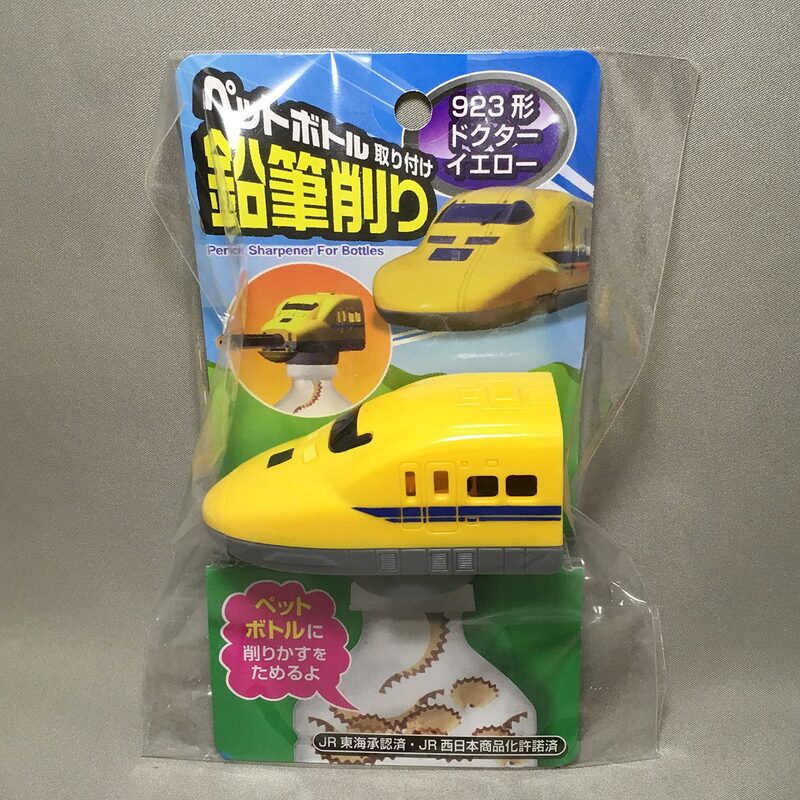 Definitely not for small kids as there are small parts. 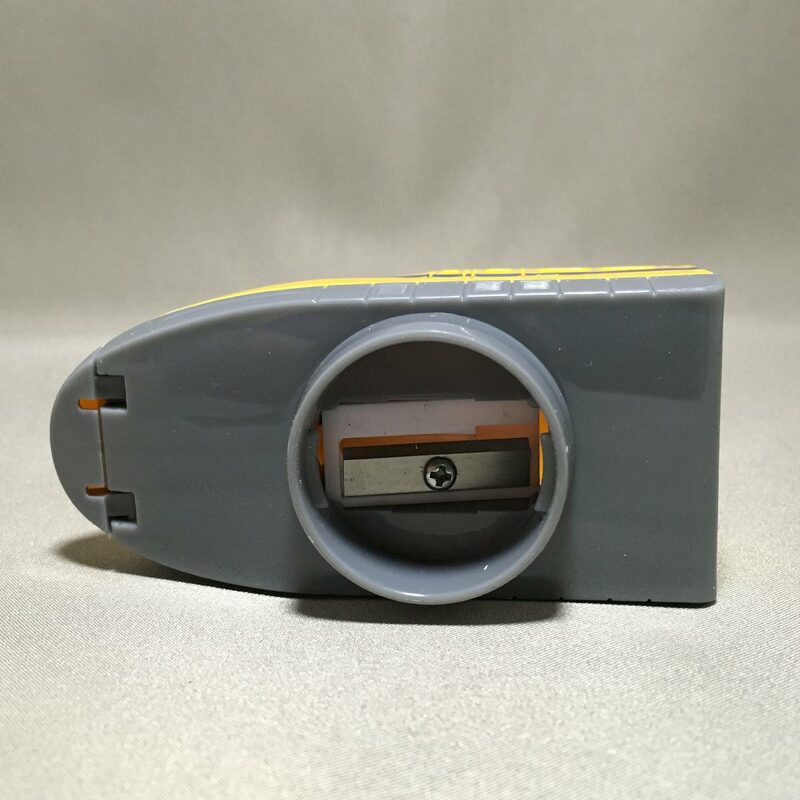 The pencil sharpener itself sharpens well, it’s just a regular sharpener, nothing special there. Using a plastic bottle is very fun and interesting, and it makes good use of left-over plastic bottles. 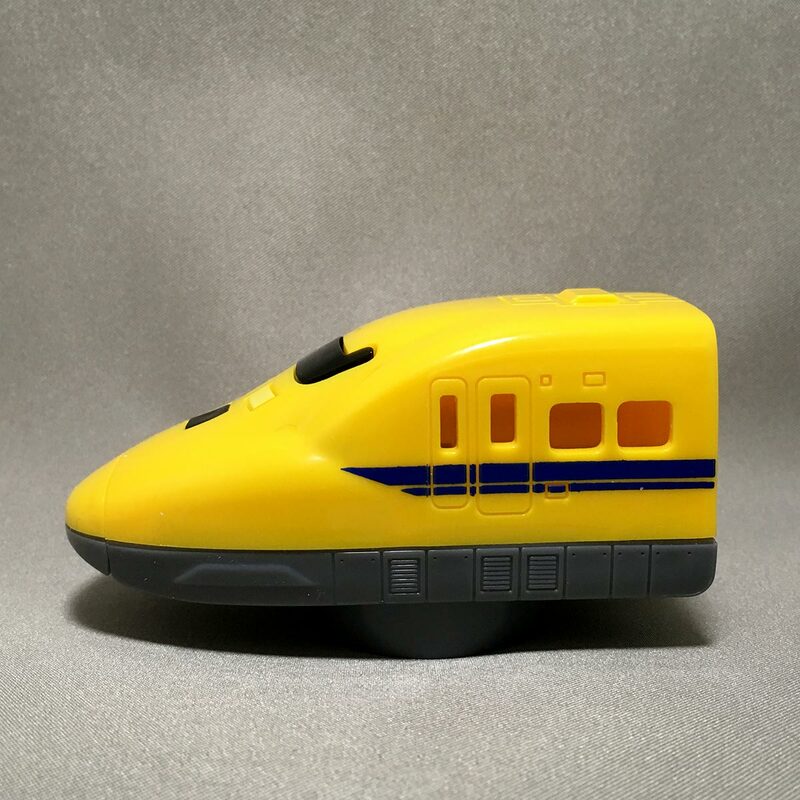 Apart from the Class 923 Doctor Yellow, the train series of pencil sharpeners for plastic bottles also comes in the N700 Series Shinkansen, Class C11 steam locomotive, and the E5 series Hayabusa Shinkansen.